When we went to Bicol last summer to go swim with the whale sharks in Donsol and visit my mom’s hometown of Ligao, we also spent a a couple of days in Legazpi, the capital of Albay province. A couple of aunts, uncles and cousins live there, most of whom I haven’t seen in years. There was a family reunion of sorts and like every Filipino reunion, it was marked with a lot of eating. For one dinner, an aunt and uncle took us to Sibid-Sibid, a casual dining spot with interiors inspired by the traditional Filipino bahay kubo. It’s popular among the locals and it took us a few minutes to get seated. It’s known for its great seafood dishes that are mostly cooked in the Bicolano style (for me, that’s with lots of coconut milk!). 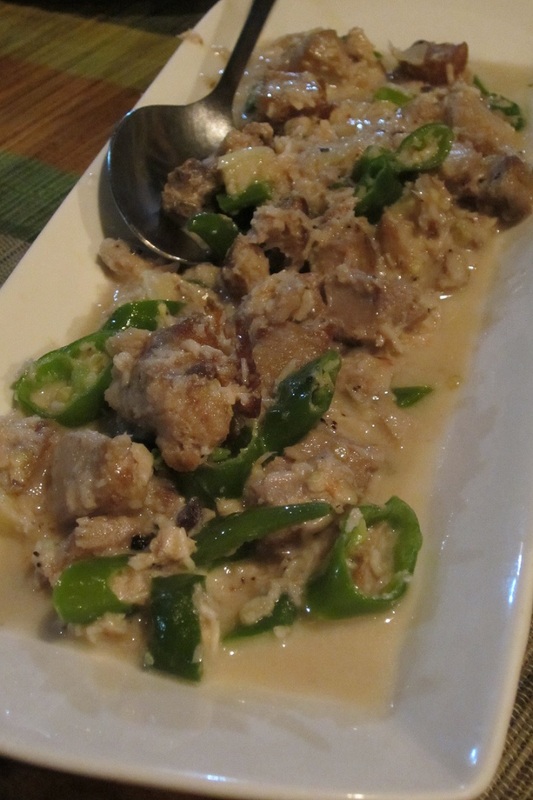 Take for example Bicol Express, a spicy pork stew made with coconut milk, green chilies and shrimp paste; theirs is a seafood version, replacing the pork with chunks of delicious tuna. My mom who often makes Bicol Express, loved it that you could tell she was already thinking of how to recreate it back home. 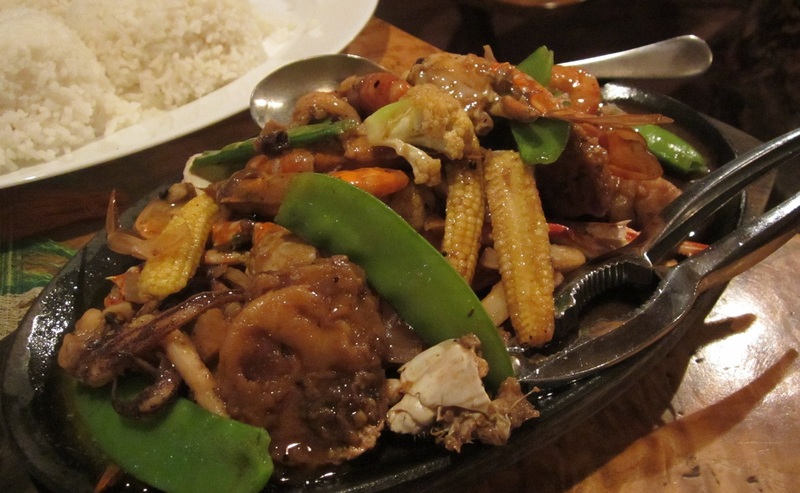 We also had the Sizzling Mixed Seafood (which seems to be one of the most popular dishes since it was in almost every table), Sinigang na Hipon (shrimp and vegetables cooked in a sour broth, usually tamarind), some grilled fish, native chicken cooked in (what else?) coconut milk, and lots of rice. 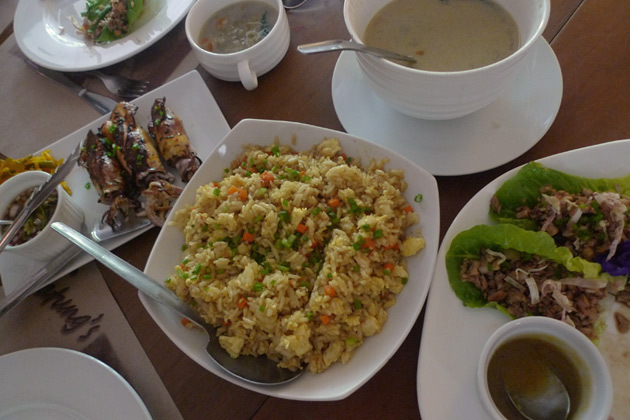 It was a very satisfying meal; one I would gladly have again should I find myself back in Legazpi. 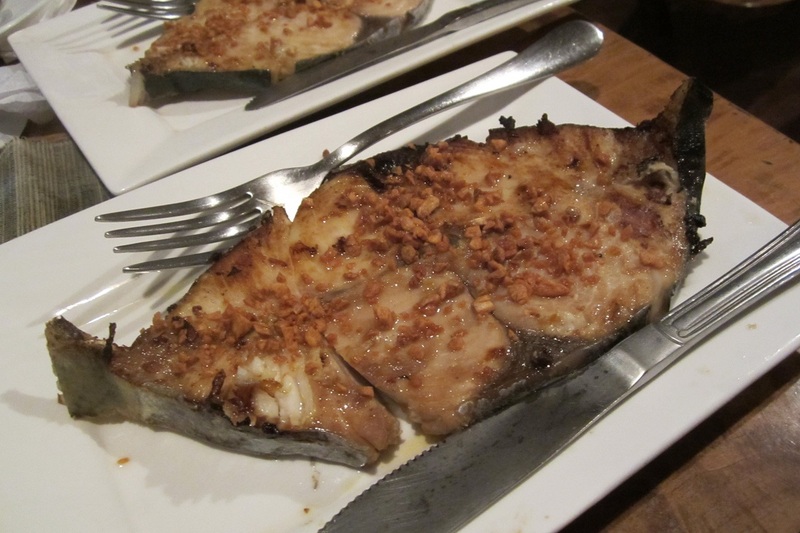 I particularly loved the fish Bicol Express and the simple grilled fish. Good value for money too. Another day, after getting treated to the popular buffet lunch beside the Legazpi Airport (cheap at around P199), my cousins took us to DJC Halo-Halo. Many folks from Legazpi, including my cousins, used to go to the neighboring town of Tiwi just to have the halo-halo of DJC. Halo-halo is a popular Filipino dessert, typically made of crushed ice, milk, sweetened saba bananas, ube (purple yam), leche flan, macapuno (coconut variety) and other sweet bits. The version of DJC is topped with ube ice cream and cheese. DJC earned such a huge following that the local snack bar eventually opened branches in Legazpi at Pacific Mall and in Naga. 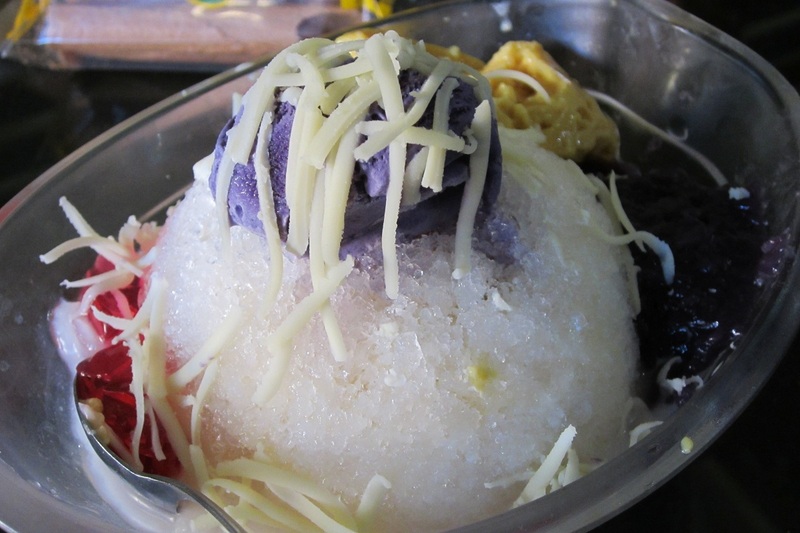 Though the photo above might look like a big mountain of crushed ice, the fillings are substantial–generous helping of sweet, creamy leche flan, of sticky sweet purple yam, of sweet shreds of macapuno and the unexpected but welcome saltiness of grated cheese. It’s really good halo-halo. Better than the ones from the popular fast food and resto chains. No wonder it has many devotees. And you get a big bowl for P85 (Halo-Halo Supreme). One of the most viewed posts in this little blog is the story on two restaurants along Maginhawa Street in Quezon City. 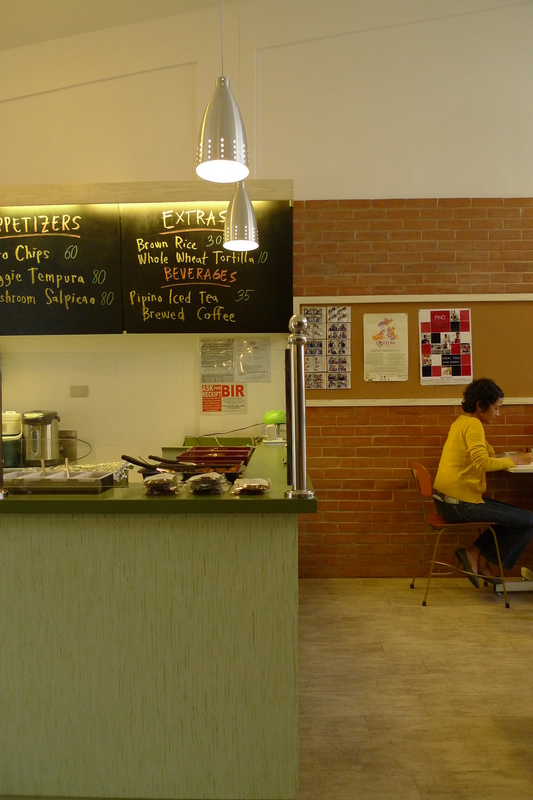 That stretch in the district of Diliman remains a popular dining destination, although nearby streets and districts have their fair share of good restaurants for different budgets and cravings. 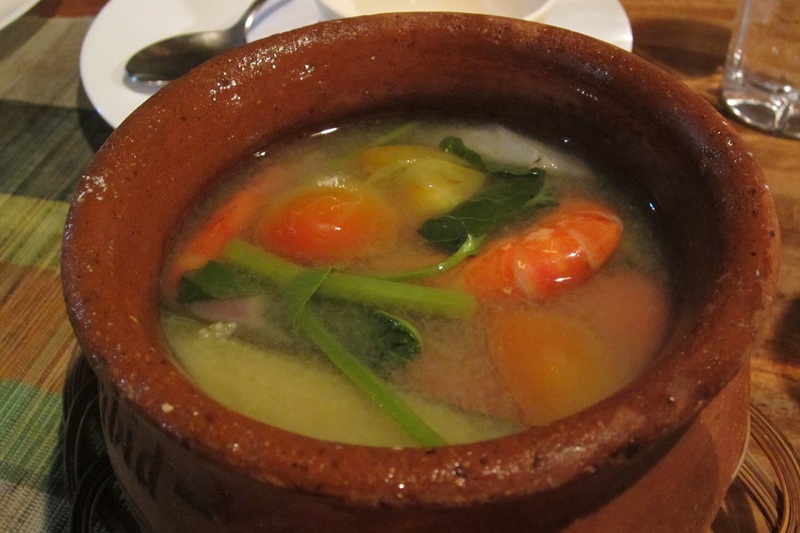 Loved the monggo soup the best–probably because I’ve been craving for it for quite some time. It’s a simple Filipino soup made of mung beans with the salty taste of smoked fish bits and bitter melon leaves, something you can find in most humble neighborhood eateries. It was a good starter, while the chocolate cake and halo-halo ended the meal and the conversation on a happy, we-should-do-this-again-soon mood. 2. Pipino. I don’t get to go to this resto as often as I want, but I think this is one of the best vegetarian restaurants here in Metro Manila. 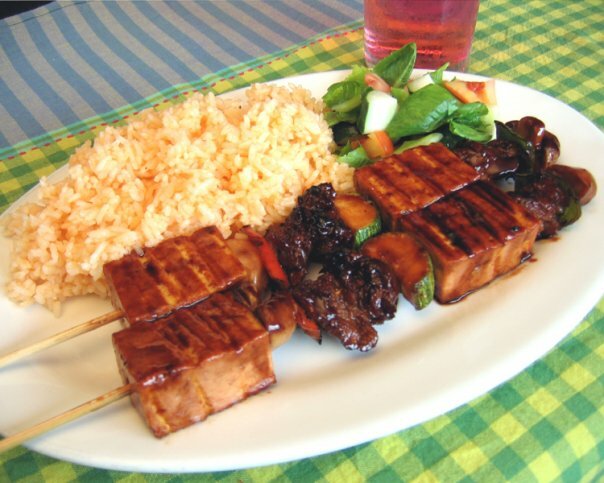 They serve a lot of plant-based dishes and both vegetarians and vegans will be satisfied. My vegetarian sister loves it so that’s a big plus. 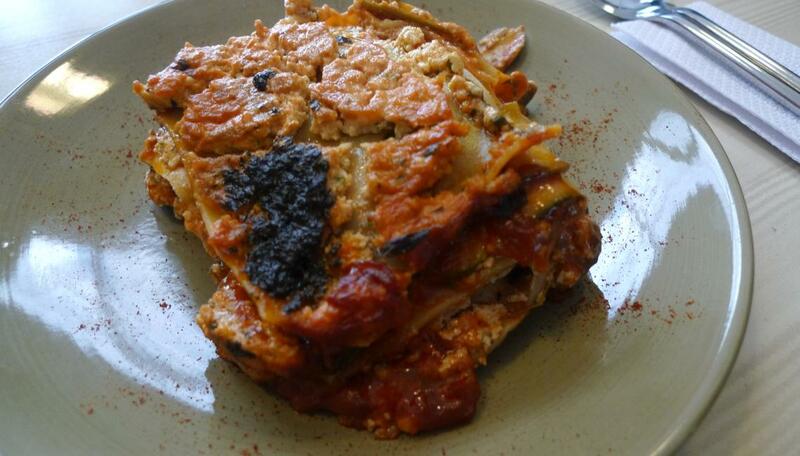 Its vegan lasagna is something I dream about every so often. It doesn’t have cheese but it’s creamy (thank you Silken Tofu) and I love it against the layers of wheat pasta, the tart tomato sauce, the texture of those slices of eggplant and zucchini, and the subtle hints of the humble malunggay. UPDATE: When I recently had this (April 4, 2011), I have to say that it was a big disappointment 😦 The lasagna noodles were stiff, the silken tofu far from creamy and soft (it was in big dry globs) and the vegetables were just dry. It tasted like day-old lasagna that was heated in the microwave too long and on too high a temperature. It was far from how it looked in that photo below–all soft and creamy. I’ll see how it is if ever I do find myself in Pipino again. Sigh.